It's gonna be a scorcher! When the sun shines down on the blacktop, you'll be doing big business in lemon shake-ups and iced coffee. 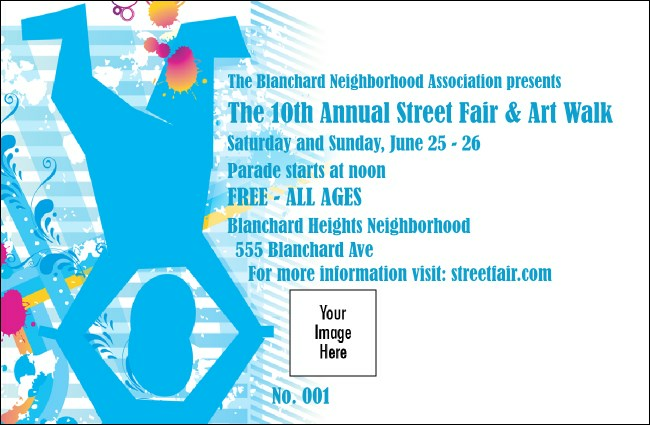 Keep the refreshment lines moving with the Street Fair Drink Ticket, with a funky blue and orange design and a space for you to upload your custom image, sponsor logo, or head shot. Ice it down with TicketPrinting.com.